The website Squidoo.com is an excellent way of driving traffic to your website. Squidoo allows you to build a webpage on any subject you like and the beauty of this is that it’s a simple matter of dragging and dropping various modules into your page to provide appropriate content. Squidoo call these pages “Lenses” and it’s perfectly possible to attain high Google rankings with a Lens. Here are some suggestions on how to go about using Squidoo to drive traffic to your website. Begin by checking out the high ranking lenses for your chosen topic. Squidoo has hundreds of categories from which to choose and you can see these on the entry screen. Once you have chosen your topic, its time to choose appropriate keywords. Do the normal keyword research and then make sure that you include the search term in the name of your Lens. This means that the Lens you create will have the keywords embedded in the URL. The next key is to ensure that your Lens is packed with useful content. This means a mixture of traditional “drag and drop” modules in addition to some original articles. It’s also possible to include various graphics files. In the same way that you use keyword research, also search for suitable graphics and include those in your Lens. This makes the Lens much more attractive and easier to read. Once you are happy with your included content, its time to publish your Lens. This is a simple couple of mouse clicks and then your Lens will be live. This is not the end of the matter. It’s now necessary to keep adding content in the same way as a normal web page. Also add an opt-in form to your Lens so that you can collect email addresses to which you can market. The final step is to make sure that the search engines know that your Lens exists and that it has quality content. The best way of doing this is to use our automatic pinging service to ping your Squidoo URL. Thanks for the great post. I do really believe that a well researched keyword is the main key and using Squidoo offer a free tools to build your website. Thanks for the information you past on is helpful. Is this a new tool to drive traffic to our site, Is this effective anyway? I’ve forgotten my Squidoo lens already until I stumble upon this article. Thanks! Squidoo is do follow website. it`s very good for SEO. I have to try this trick, looks great! A word of caution – Squidoo does have fairly strict rules on spam subjects. Do take time to see what they do allow and what they don’t allow else you will find your lens (and your hard work) deleted. wow.. thank you for your tips. it’s very helpful. squidoo is effective and simple, you can exploide it. 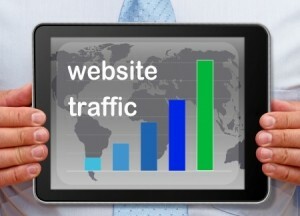 A very good article, with an informative view on gaining valuable traffic using Squidoo. Thanks for this helpful post to get free traffic for my site! I use the squidoo to make SEO website.It’s very works!! I have been trying to decide between a Hub Page or Squidoo lens, and I think I will go with Squidoo….